Archimedes said that if he had a lever and a place to stand, he could move the world. Go ahead, Archimedes, move it, and we’ll backseat drive all the while. Red Zinfandel may have a lighter color than Cabernet Sauvignon or Merlot, but it makes up for that where it counts. It's known for a cornucopia of flavors, from the fruits of blueberry, cherry, and plum, to the zing of black pepper and licorice. 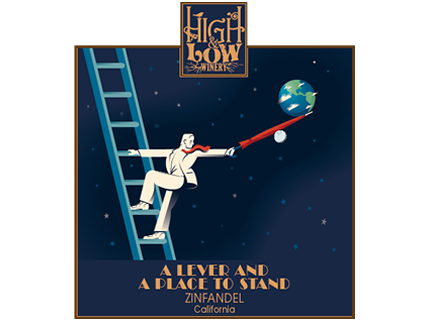 Our Zinfandel is bold enough to move the world without need of a lever or a place to stand. It bursts with fruit and has a mouthy finish, each sip going from mmm to ahhh. We find that our Zinfandel pairs well with spicy food, especially bbq with some real panache. Or pair it with whatever you prefer, or with nothing at all! At the end of the day we like to say, Drink it, don’t overthink it.